Brought to you by Coyle Media Group, the Ottawa-based company behind award-winning Fifty-Five Plus Magazine, Ultimate Guide to Retirement Living, Ottawa luxe Magazine. Published twice a year, in July and December, the magazine is circulated through the newsstands, the Capital Wedding Shows in January and the Ottawa Wedding Shows in March, the Bay and Home Outfitters gift registries and through advertisers. 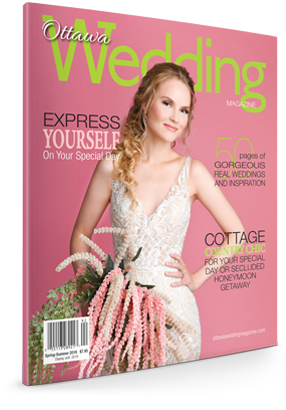 Be sure to look for your next issue of Ottawa Wedding Magazine.